Want to win one? Stay tuned for details! I just started using Scrivener and it has already saved me from the many files and folders that tend to form when I’m working on a project. Everything is easily accessible, whenever I need it, from one screen. I donated to the campaign in 2011 and her critiques were always thorough, helpful, and spot on. Plus, she’s super quirky and I love it. :) I’ll donate again and you might just get a Kat Crit of 5,000 words. Query Tracker is so helpful for researching agents, keeping track of the query process, and connecting with other writers. A premium membership gives you additional features and helps support a great site! 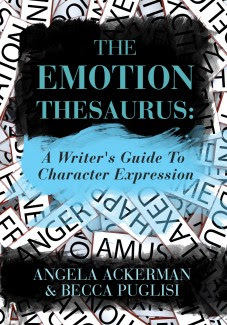 I loved using the The Emotion Thesaurus on the website and now that the book is out, it’s even better. It’s super easy to hop around from one entry to another and it’s full of great ideas! Great idea! Great tools, too. Kat's crits are the bomb. 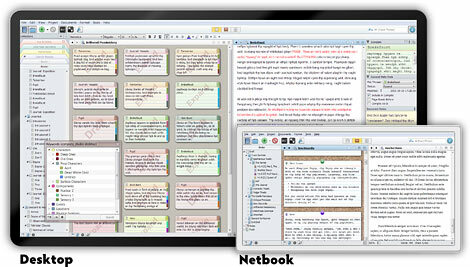 I used Scrivener when it was free to try while they got the bugs out. I LOVED it. Then I wasn't writing for forever. I need to go buy it though, because it was seriously awesome.